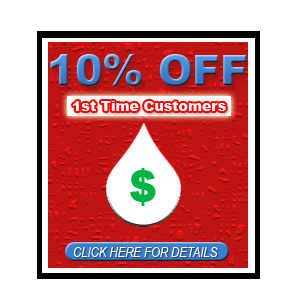 Help make your plumbing job easier and faster! Everyone is familiar with the job and duties of a plumber. A plumber is the guy who stops leaks and installs all plumbing fixtures. Plumbers also have the knowledge to unclog any drain. People know that plumbers tend to work in dark, crowded, cluttered, tight areas. It’s not easy fitting in some spaces but we figure out a way to get the job done. 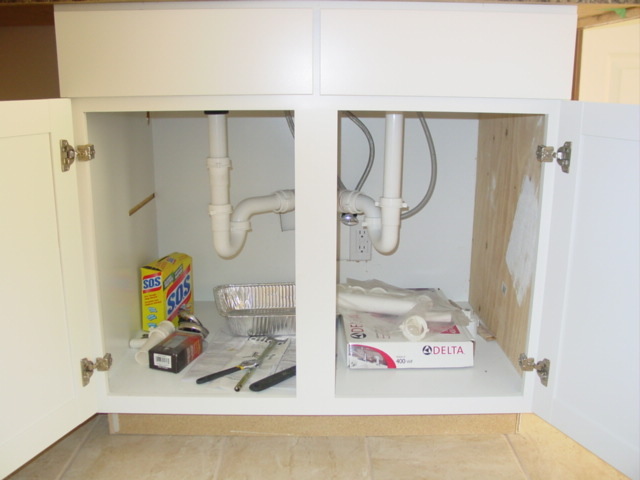 One easy way to make a plumber smile is to make sure the cabinet under your kitchen sink is friendly. Look at the pictures above, the top picture is what plumbers like to see. 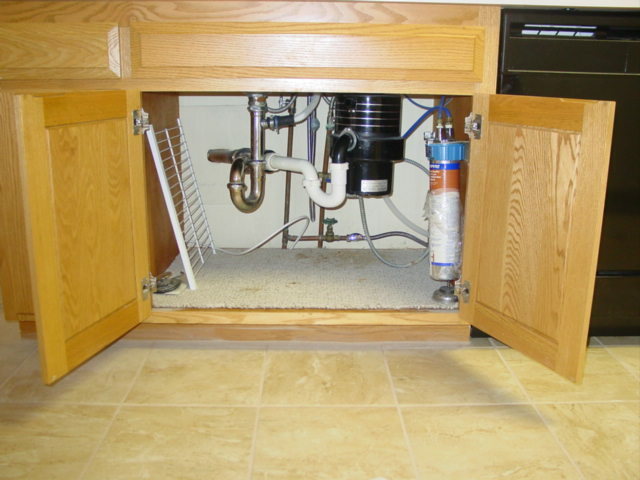 Plumbing in general under a kitchen sink can be confusing and isn’t always easy to deal with. Next time your going to install a kitchen cabinet for the sink make sure that wood board that runs down the middle isn’t there. Have them install it on one of the doors so when anyone is working under the sink it give them more room. By making this easier and more accessible it will first of all make the job easier and second get the job done faster which means less spend out of your pocket book. Call Ken’s Sewer Service to come clean and camera your sewer line. Sewer rooting is the service of removing roots from your sewer line or floor drain. Roots tend to grow anywhere and everywhere. There is no stopping root growth. The only way to keep roots from getting into your sewer line is to excavate. 90% of the time that’s not needed and very pricey. Once tree roots enter your sewer line there is no getting rid of them. Tree roots grow and grow. By cleaning your sewer line annually you will slow down the process of roots growth from spreading. Most our clients have never had to dig/excavate if they maintain cleaning on their sewer line. Never dig unless you get two opinions. Remember the service of excavating your yard is not cheap. Don’t just let any company talk you into digging unless they can 100% prove your line needs it. There are several steps to perform before any digging in required. Never let any company talk you into digging before taking the proper steps. Make sure you do you own due diligence. 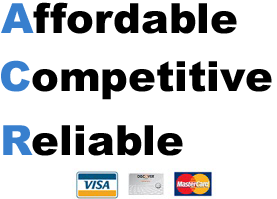 Understanding how far the sewer company made it through your sewer line is question number one. Ask them how many feet they have gotten and what size cutter/blade they used. If the drain technician says tree roots are coming back on his cutter then give him a couple hours before your resort to digging. Step 2: call the city you live in and see where your sewer line runs and where your sewer line taps into the main city. Have the city check their sewer line to make sure the flow is nice and that it’s not a city issue. If you have drainage have the plumbing company camera inspect your sewer line. Scoping your sewer line with a camera is worth a million dollars. But, if there is water in your sewer line the camera won’t see through 100%. Make sure you get a second opinion before ever digging. Having a different technician from the same company or hiring another company to see what they find. Always hire someone you trust. Get referrals from family members or friends. Most companies that excavate make their money on digging repairs. Don’t dig until your 100% sure digging is the last resort. Don’t let a company convince you to replace your entire sewer line either. Most the time all you need is a ONE SPOT repair, sometimes two. Once the plumbing company repairs their one spot repair have them camera the rest of your sewer line. At that time you can discuss if you can continue cleaning the rest of your sewer line or if you need to continue excavation. Our company suggests after having a repair made hiring a drain cleaning company to run their machines with cutters through your line. After having any repair done set yourself up for an annual drain cleaning to prevent excavation costs in the future. Hire Ken’s Sewer Service to help with any sewer needs. Trust a company that’s been around for decades! Enjoy Watching the 2012 Olympics!